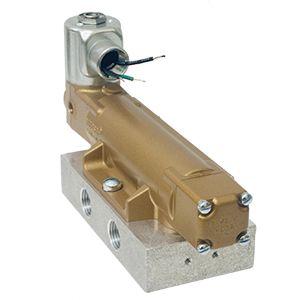 V & T Series valves are available with solenoid, manual, mechanical, and pilot actuators. Also available are unique features such as lockout, latching manual reset, and redundant coils. 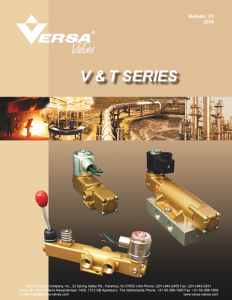 VERSATILITY: Versa’s modular design offers solutions to a wide range of applications. 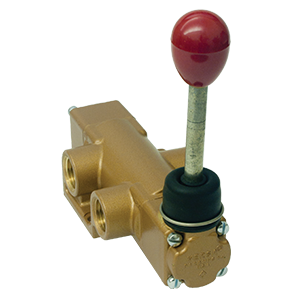 Our valve construction allows valve bodies and actuating devices to be interchanged end for end and valve for valve providing great flexibility. 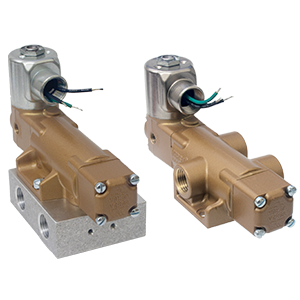 COMPATIBILITY & APPLICATION RANGE: V Series valves are designed for the control of pneumatic pressures from partial vacuum to 200 psi (14 bar) and hydraulic to 100 psi (7 bar). The use of standard O-ring seals makes it possible to supply many different compounds in order to meet varying conditions of media and temperature.